it was finally reduced over the weekend. 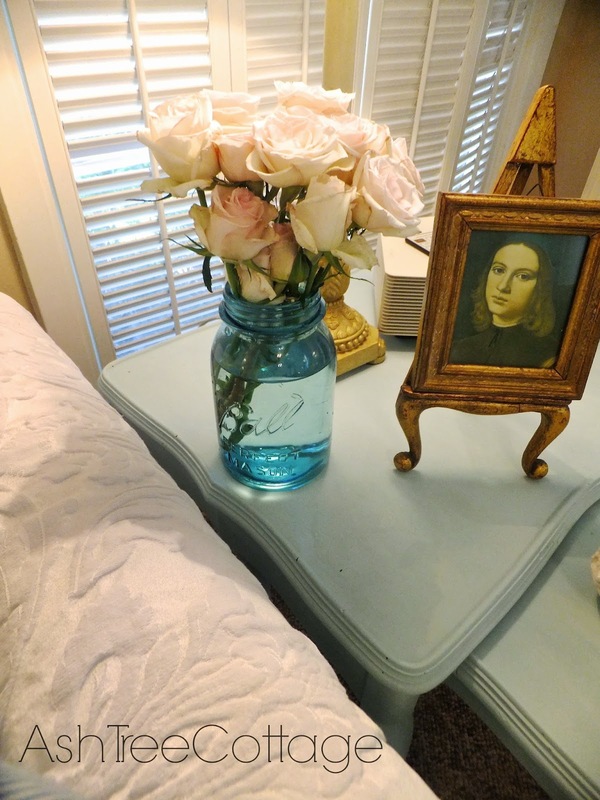 I thought this tray would be an ideal addition to what is now our guest room. Mom would have liked it. She loved everything French! Hope y'all have been having a great Monday! Your tray is tres chic...I just love it. And at a bargain price how could you go wrong??? Perfect tray for your guest room, Susan. Hi Sarah! You and Sadie should come down for a visit! When you come visit you will have your choice of rooms! It was my Mom's favorite. I like it too, but I am more of and Anglophile. Just the perfect touch to your lovely home. Thanks LV! I always enjoy your visits. I just love Hobby Lobby. They always have sales, and I use the coupons too. Thanks for sharing that sweet tray. I like it when Hobby Lobby puts it on the 60-70% off isle!. Adorable tray. Thanks Laura. Glad you stopped by!! Very pretty. I love the colors. I also love French and Hobby Lobby. Have a wonderful day! Thanks Connie. I hope you are having a great day too! It's perfect and oh so pretty. 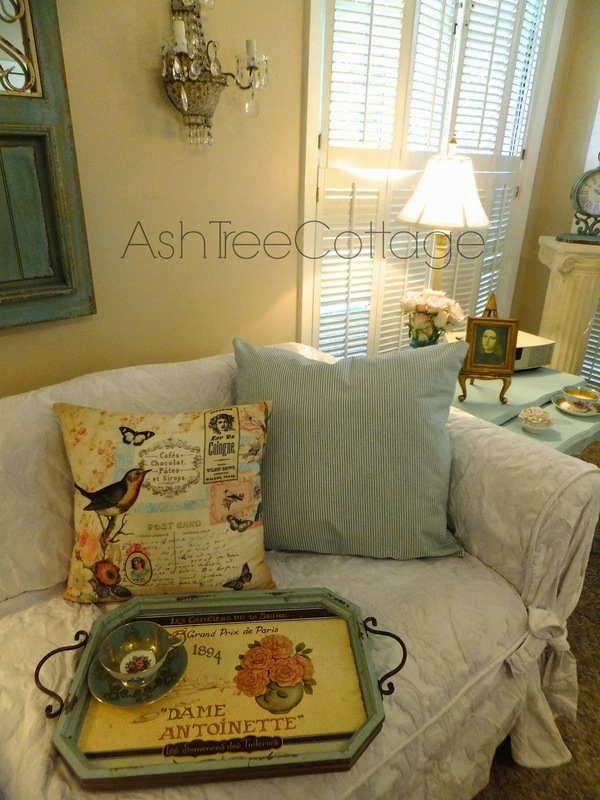 I have a real pretty white distressed tray that I picked up for a steal when I worked for Hallmark in Nevada. It has a glass insert that you can put pretty pictures under & change out as you tire of one. Currently I have a pic of an old bicycle in it. I keep it on my bed & use it to compile stationery items on when I'm in a letter writing mood. Yours is super pretty. Happy Tuesday! Your sounds lovely! I would really like to see a pic of it. Happy Tuesday to you too, although at this point we are on the eve of Wednesday. 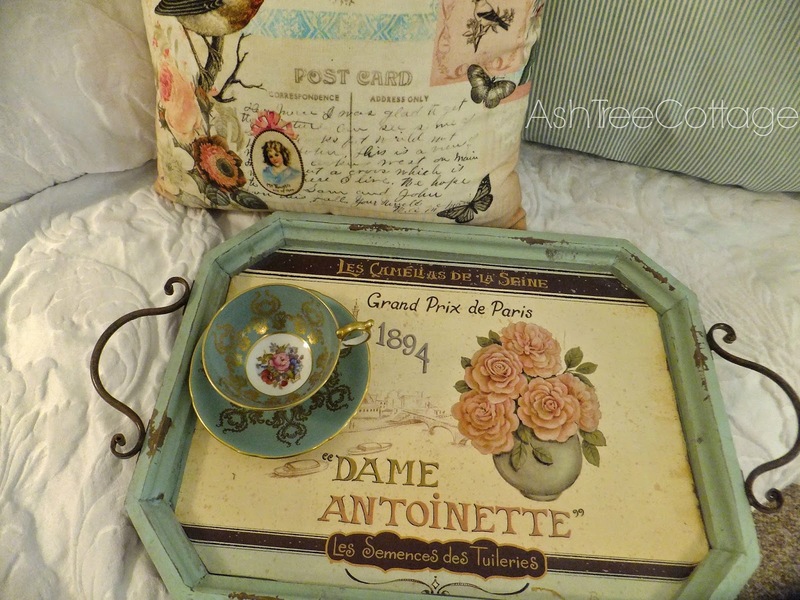 Love your tray and your French style! Hobby Lobby has some fabulous things don't they? My husband and I decorated our whole theatre with signs from there!